Melissa has a deep desire to make a positive difference in her community. One way that she does this is by teaching yoga to children, adults and seniors. After discovering the amazing benefits of the practice in her own body and mind, she knew it was her mission to share! In the summer of 2013 she received a 200 hour ytt certification through the Himalayan Institute. That same year a certification to teach the Calming Kids yoga program. Since that first kids yoga training, she has completed trainings with Belly Bliss, Kids Yoga Guide and Peaceful World Yoga kids program. She currently teaches family, senior and adult yoga classes at the Northglenn rec center and more of the same at the Westminster rec center. 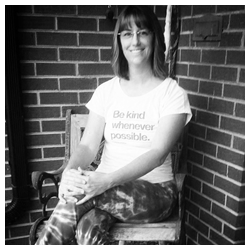 She teaches Gentle yoga at Breath of Life in Commerce City and she is the kids yoga teacher at Prizm in Westminster. Health and fitness has always been a big part of her life and she feels so Happy and Blessed to be able to share these valuable tools yoga teaches us to all ages!